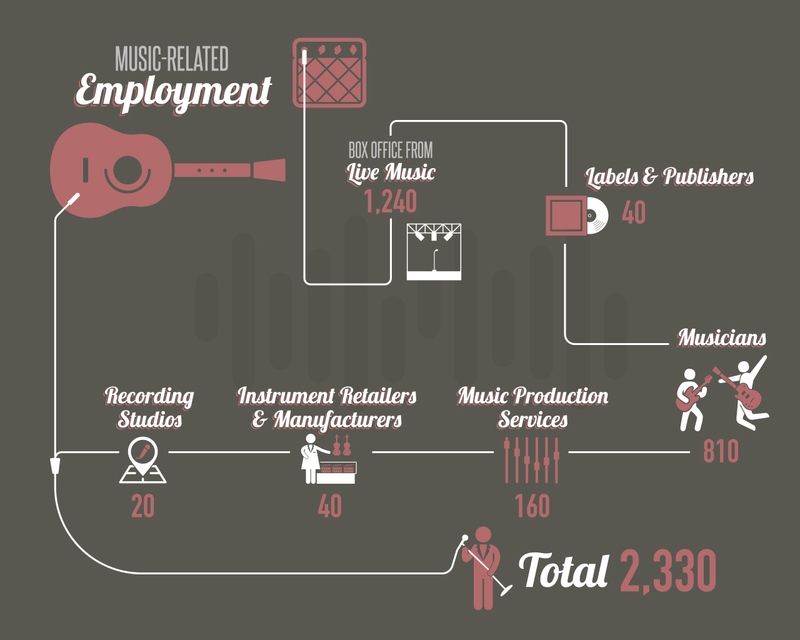 Kevin was recently asked to work on some musical infographics for the lovely BOP Consulting. 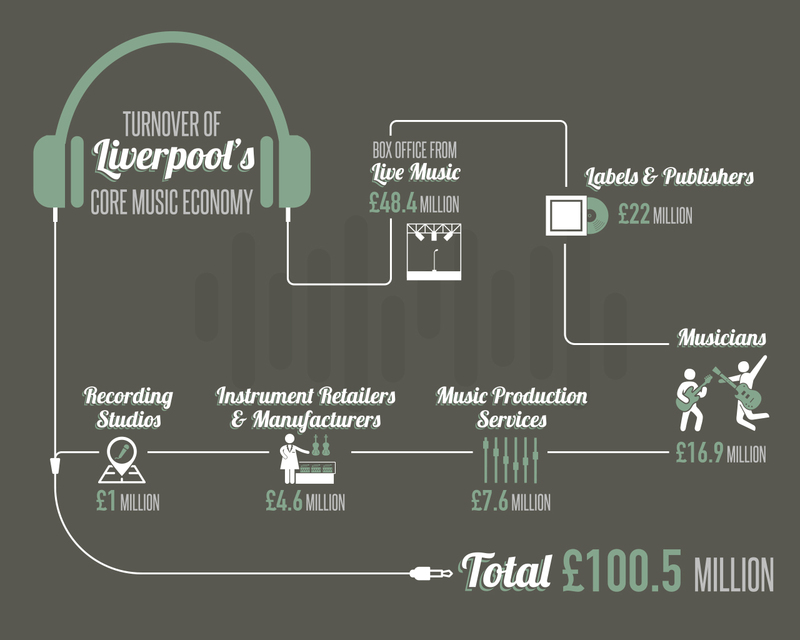 BOP was commissioned to analyse the scale of the music sector in Liverpool for Liverpool City Council and Culture Liverpool in order to develop a Liverpool City of Music strategy. 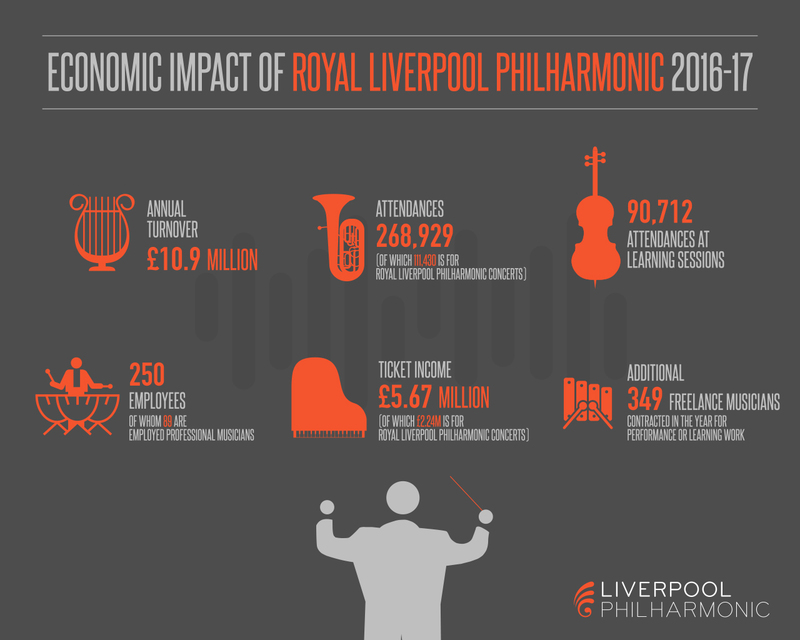 Liverpool has historically had a huge link to music, from the world famous Royal Liverpool Philharmonic Orchestra (which is one of the world’s oldest concert societies) to grassroots gigging in small venues, recording studios and spaces. 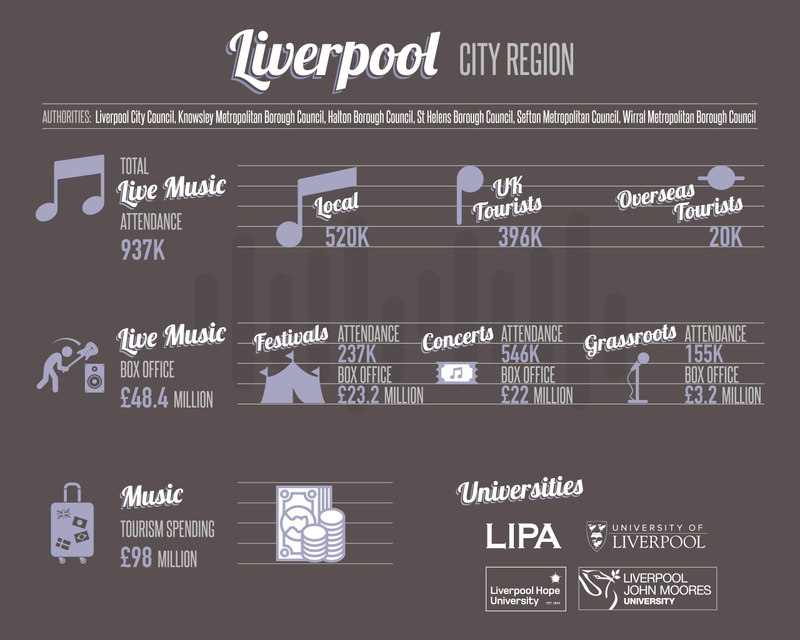 With a famous dance music scene and underground techno movement, global acts performing at the Echo Arena and several high profile live music festivals in LIMF, Creamfields and Fusion attracting big name acts and thousands of visitors, the list is endless. Kevin used muted colours and musical references such as leads to link sections, amps and instruments on a background with a subtle abstract nod to a graphic equalizer. This created interesting and clear infographics that perfectly illustrated the information.